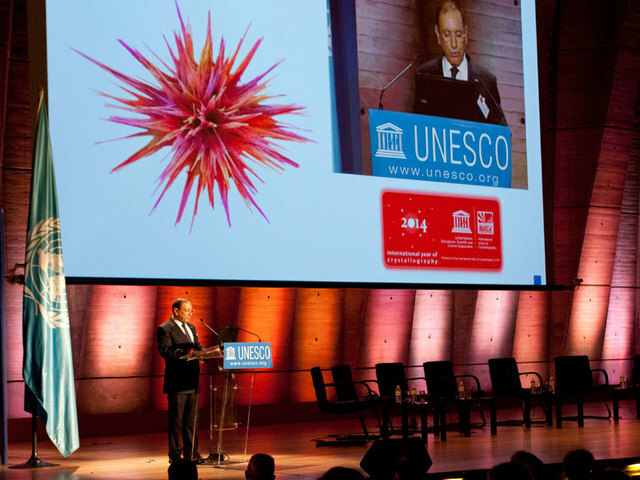 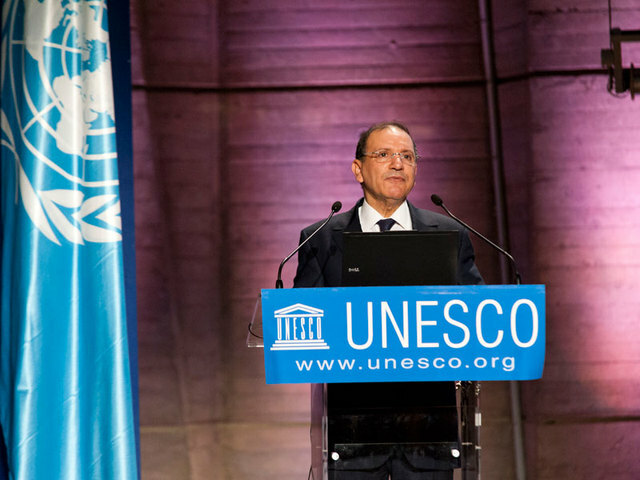 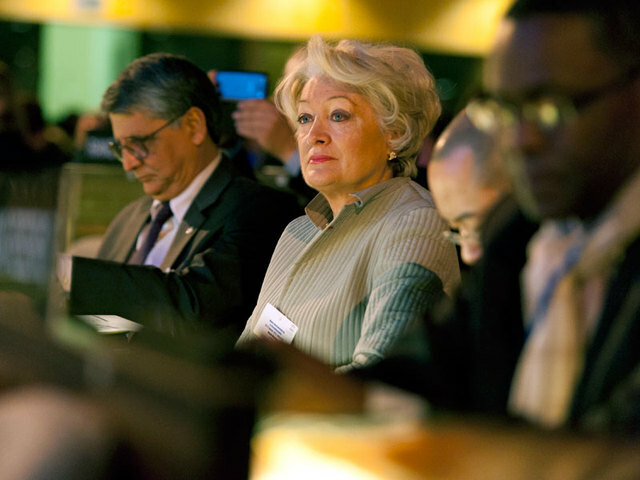 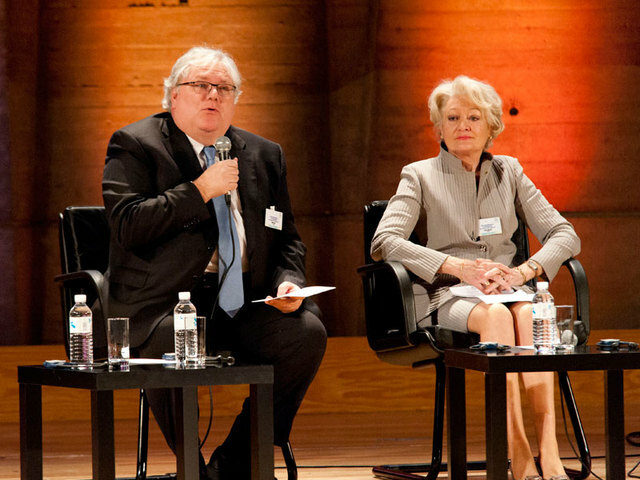 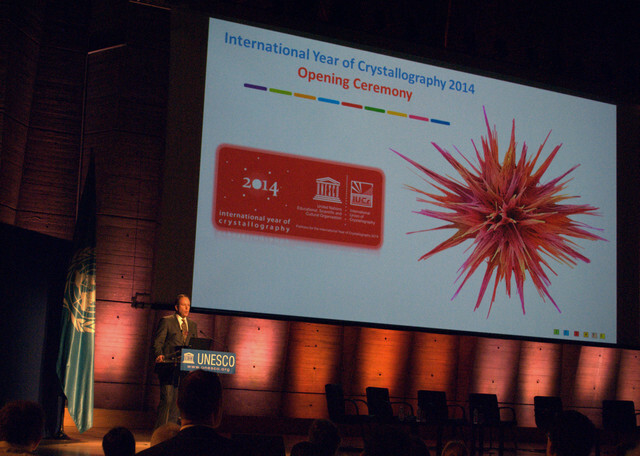 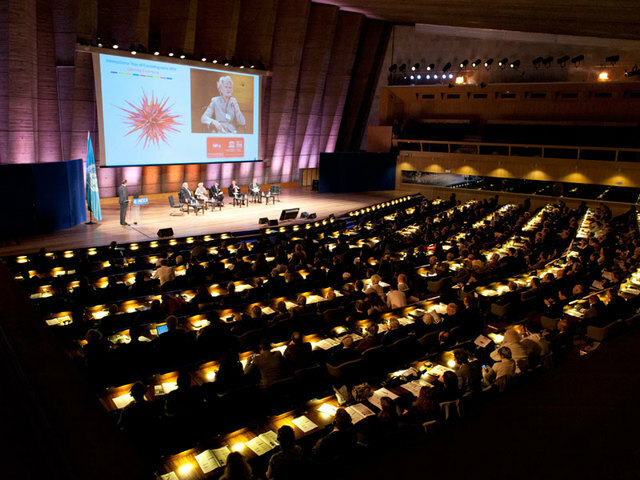 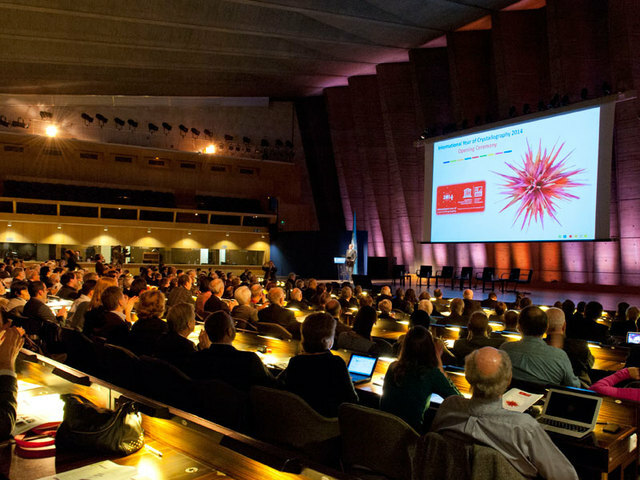 More than 800 people attended the opening ceremony which launched the International Year of Crystallography at UNESCO on 20 and 21 January 2014. 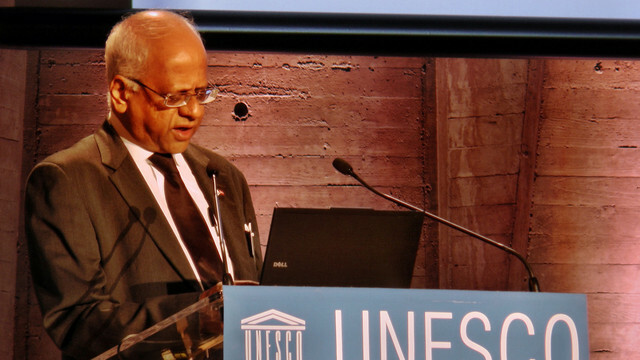 Government representatives, scientists and journalists featured among the participants. 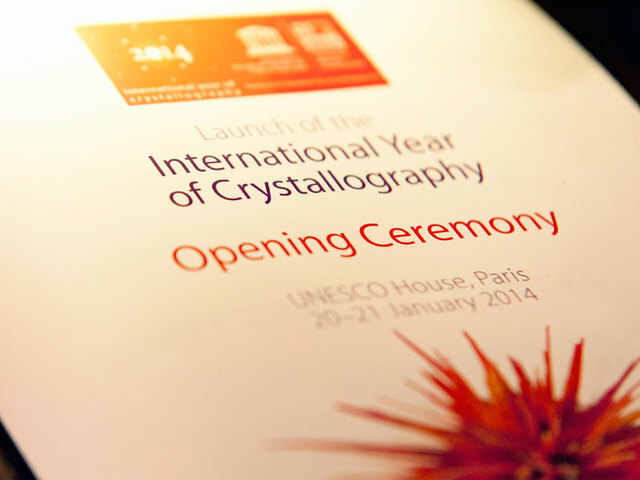 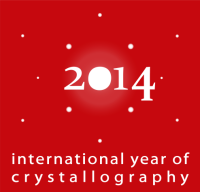 The Year is being coordinated jointly by UNESCO and the International Union of Crystallography. 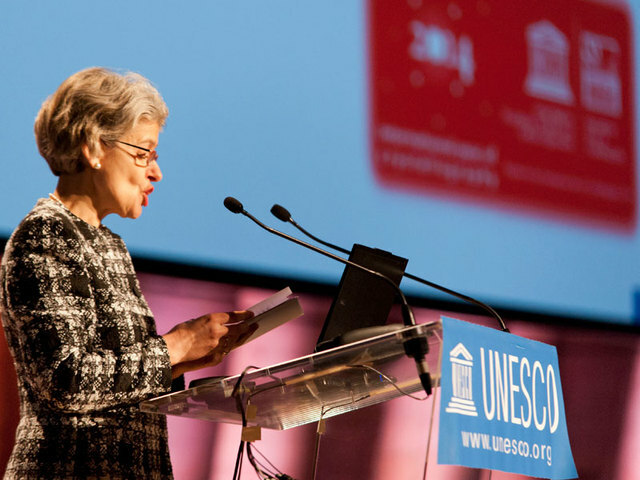 Room I of UNESCO offers simultaneous translation facilities for international delegates to the IYCr2014 Opening Ceremony. 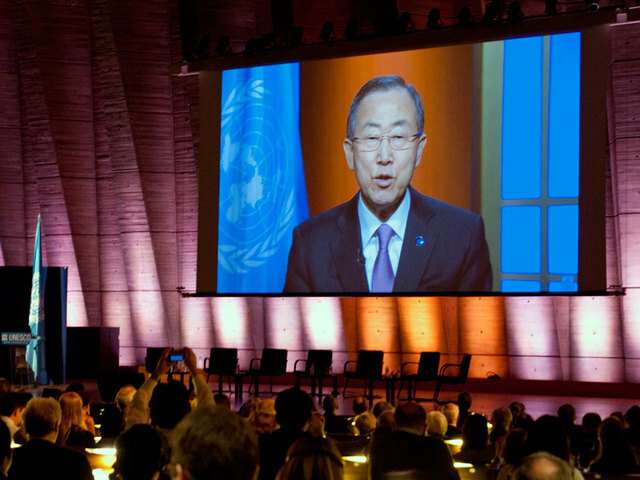 Video message of Ban Ki-moon, Secretary-General of the United Nations. 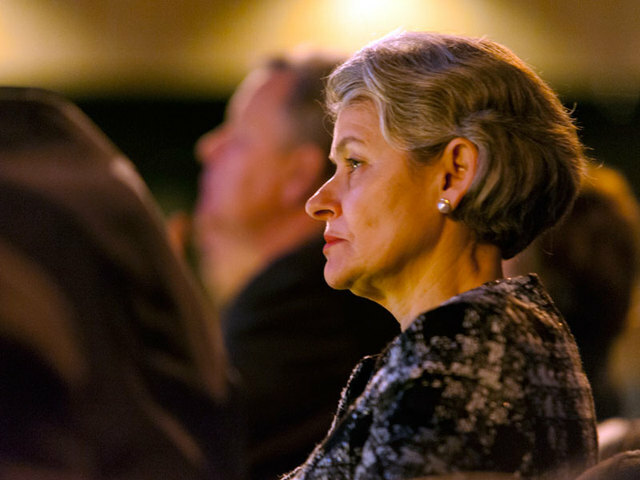 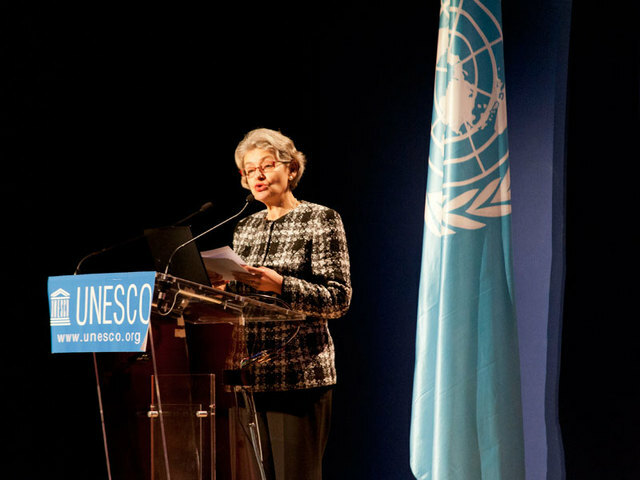 Ms Irina Bokova, Director-General of UNESCO. 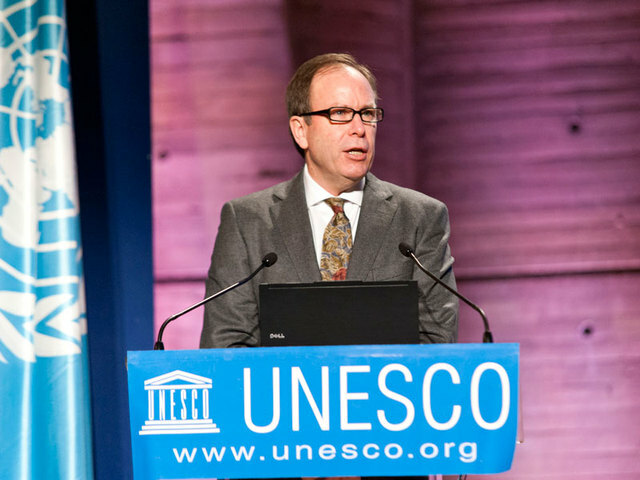 Neil Ford, Director of the Division of Public Information of UNESCO. 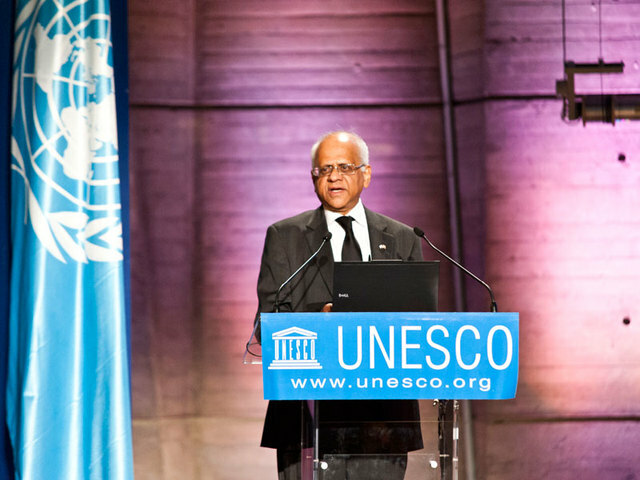 Gautam R. Desiraju, President of the IUCr. 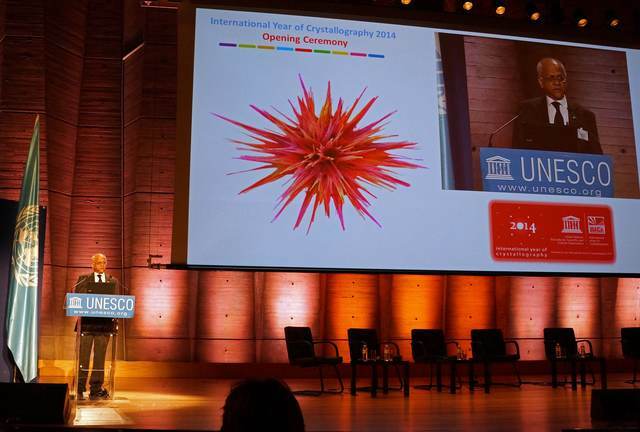 Nicole Moreau, Past-President of the International Union of Pure and Applied Chemistry (IUPAC). 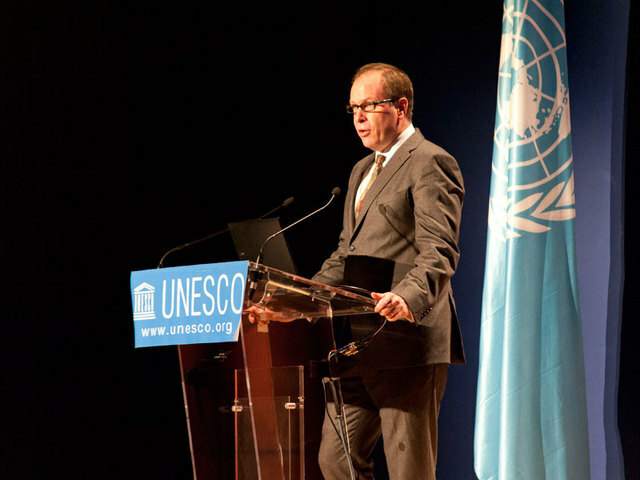 Abdelhak Mouradi, Directeur de la Recherche Scientifique et de l'Innovation, Morocco. 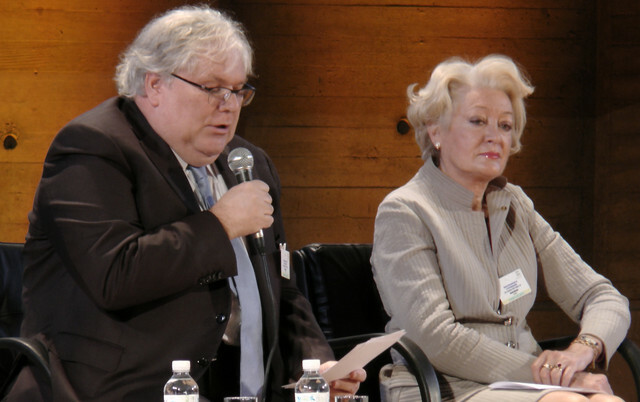 Alain Fuchs, President of CNRS (left) and Nicole Moreau, Past-President of IUPAC (right). 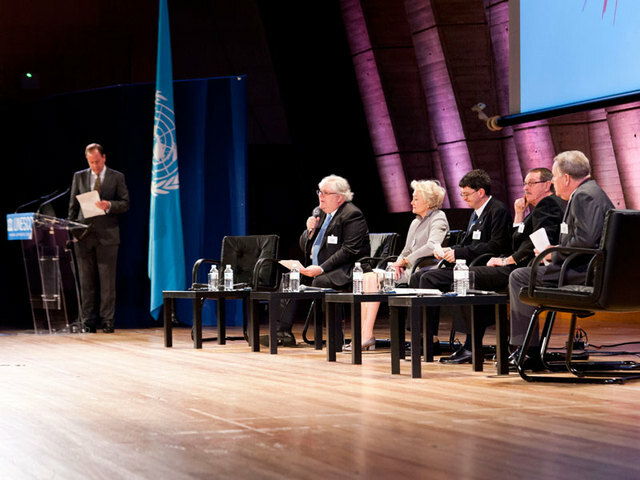 From left to right: Neil Ford (standing), Alain Fuchs, Nicole Moreau, John Dudley, Walter Maresch, Claude Lecomte. 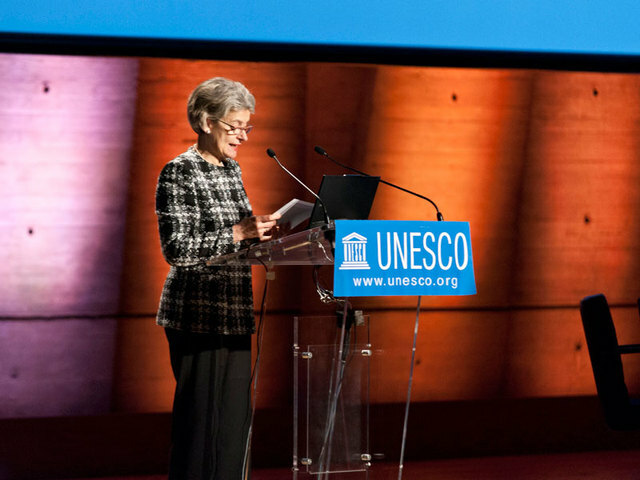 Nicole Moreau addressing the auditorium.